Old Colony Heating, Air Conditioning & Plumbing is proud to serve the Norwell community! Norwell is an affluent town in Plymouth County, Massachusetts, and this semirural community is home to about 10,500 people. It ranks within the top 50 wealthiest towns in the state, and the town’s southeastern border is situated along the North River. Norwell is located approximately 26 miles southeast of Boston, although no rail service is available in this town and the nearest station is in Greenbush. Notable Norwell residents have included actress Jennifer Coolidge, TV host Jeff Corwin, and author John Cheever. 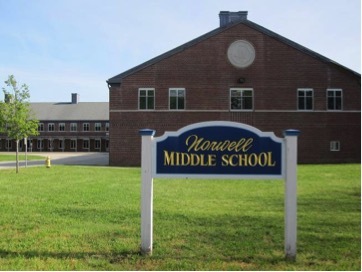 Despite being a primarily residential community, there are a few notable places to visit in Norwell. Residents and visitors to the area who are looking for some local produce need to stop at Hornstra Farms, especially to try the homemade ice cream. If you’re looking for an afternoon nature walk or a picnic, Norris Reservation is a great place to visit. There are also several places to shop in this town, including Marathon Sports, TJ Maxx, Bo Line Boutique, and Off the Rack, a local thrift and consignment shop. The climate of the Norwell area is indicative of a transitional zone between humid continental and humid subtropical areas. This means that Norwell residents will experience four entirely distinct seasons throughout the year. During the summer, high temperatures reach the 80s, and humidity levels can be excessive. An air conditioning unit is a necessity during these months in order to stay comfortable. Likewise, residents will be in dire need of climate control systems during the winter months. January is the coldest time of the year, and overnight, temperatures can fall to the freezing point or even lower. When combined with precipitation, this can lead to icy conditions both indoors and outdoors if the proper precautions aren’t taken. This means that you’ll need to have a heat pump or furnace installed and regularly serviced if you want to make it through the winter safely.